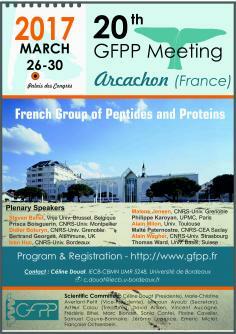 The 20th French Group of Peptide and Protein meeting will take place in March, 26-30 at Palais des Congrès of Arcachon. (click here to get the localization). Please visit the GFPP website www.gfpp.fr to get all information regarding this scientific manifestation and social events. 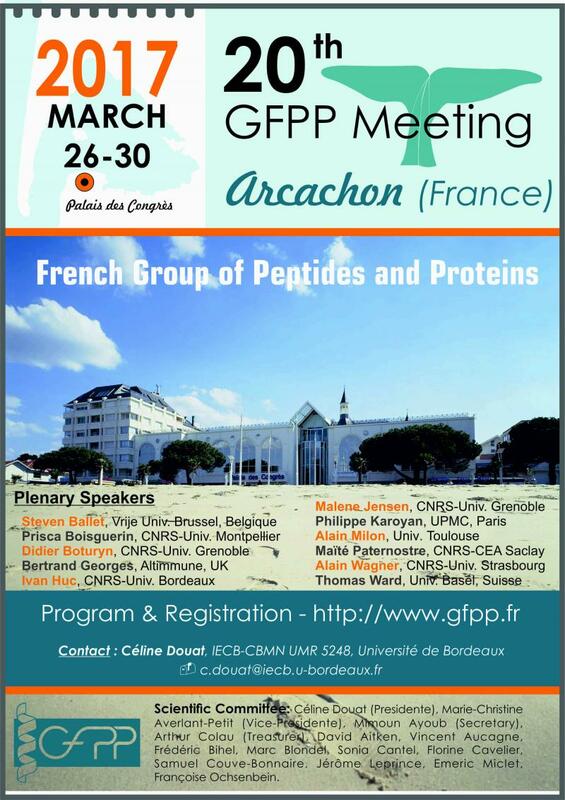 To celebrate this anniversary edition, the GFPP committee has prepared a great program that will cover all the topics of modern peptide and protein science in both research and development areas. The opening lecture will be given by a duet of great contributors to French Peptide and Protein science: Prof Solange Lavielle and Prof. Jean Martinez. Eleven plenary lectures will be delivered by prestigious scientists and complemented by more than thirty oral communications on all aspects of this multidisciplinary field of research.